Last year’s work is still producing. 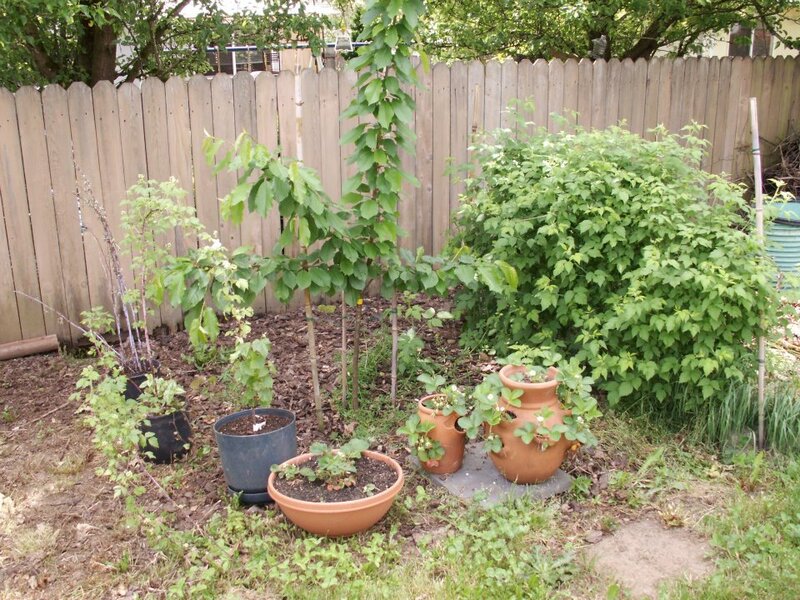 The dwarf cherry tree had a growth spurt and the black raspberries really filled in. Also shown are strawberry plants and the newest addition, grapes. It should be a good harvest this year. To me a garden is an investment, except unlike paper money, it actually has a tangible value.